This SWEET feature is in honor of the cake pop craze. Cake pops are typically crumbled cake mixed with frosting, rolled into a ball, stuck on a lollipop stick, coated in melted candy and then decorated with frosting, fondant, chocolate, nuts, sprinkles or candy. These fun and easy tiny treats were originally a creation by Bakerella (Angie Dudley). She has quickly taken traditional Cake Pops to a whole new level. 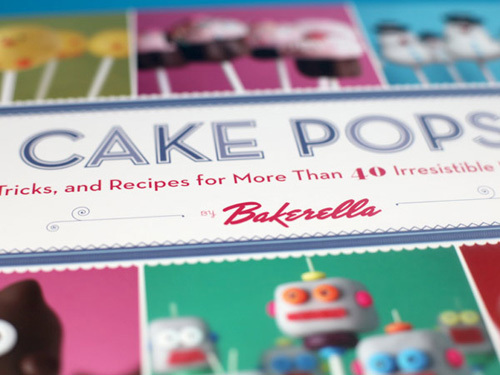 A book called Cake Pops by Bakerella is filled with baking tips, tricks, recipes and sweet inspirations! One of those recipes is for mini Ice Cream Cone Cake Pops and I couldn't resist sharing these with you! 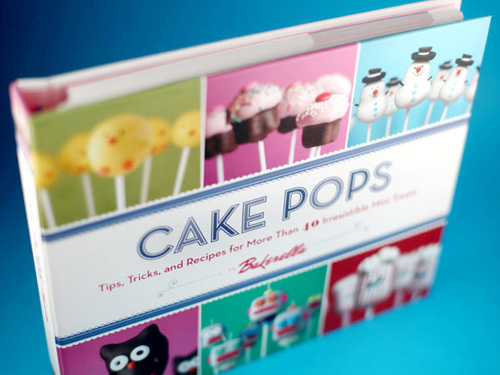 Full instructions for these Ice Cream Cone Cake Pops are inside the Cake Pops book, but a basic rundown is provided in this post and on Bakerella. See... the insides really are cake not ice cream! 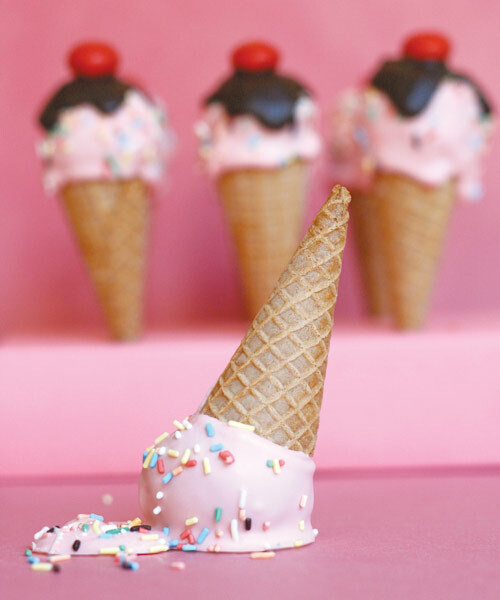 I think the upside down melted cone would make an adorable cake topper for an ice cream or sweet shoppe themed birthday party. Basic instructions can be found here. All you need is a box of cake mix, a container of frosting and candy melts. 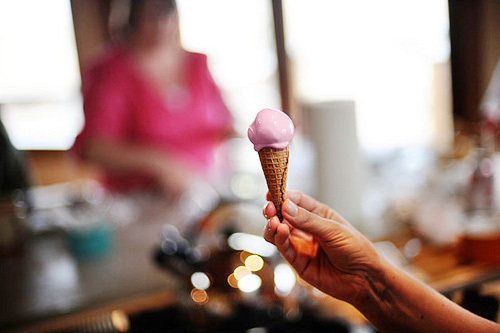 • To make the waffle cones smaller, just cut them down to size. 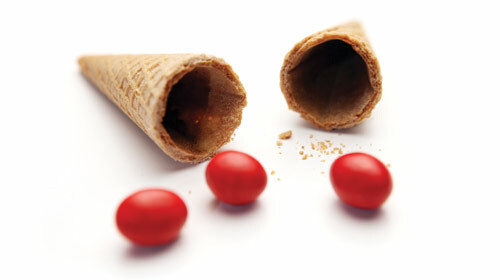 Or you can buy mini cones. 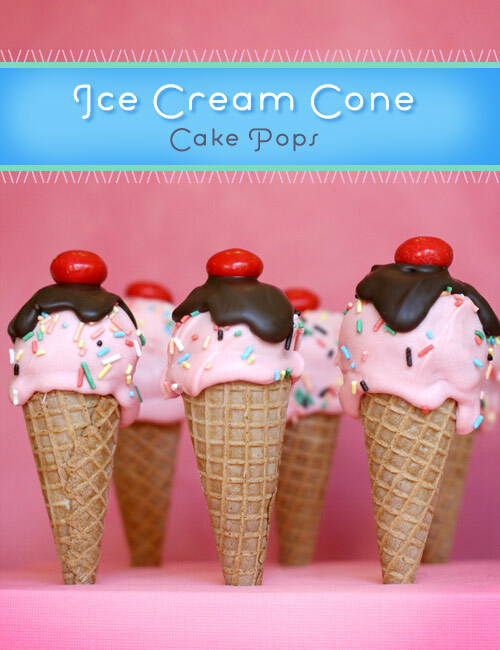 • Assemble your cooked cake ball inside the cone and then dip in the frosting. Don't worry about being perfectly smooth, the drips will make it look more realistic! 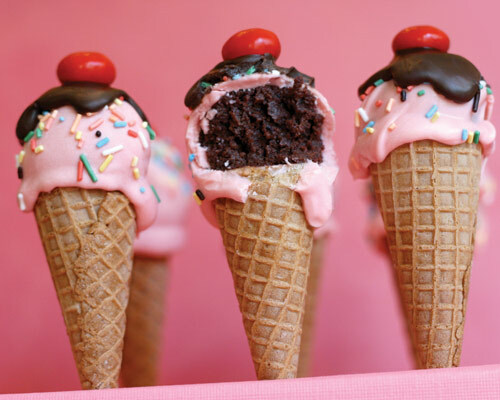 • Decorate your Ice Cream Cone Cake Pops with sprinkles, chocolate frosting and a red peanut M&M for the cherry on top. 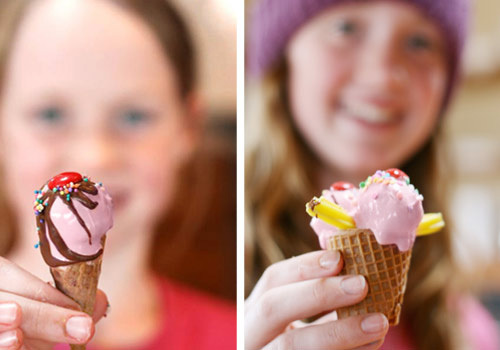 Now you have ice cream cones that don't have to be frozen and won't give you a brain freeze! Photo and Content Source: www.bakerella.com. Copyrighted by Angie Dudley. INSPIRE: Heavy Metal that Rocks!